We are Truman Films, we are a production company that creates emotive social content in the UK and Australia. We are working on our first production in New Zealand and we are in search of camera crew who are local to Auckland to work on this project. Rehearsal day 23rd March, shoot day 24th March. Rehearsal will be filmed as well. 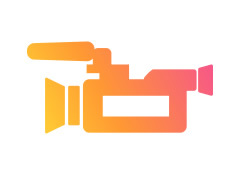 We are seeking competent camera operators who are comfortable with Sony FS7, A7SII and GoPros. We may also have Panasonic EVA1, which is very similar to FS7. This is a hidden camera shoot and we'll need 6 camera operators to operate different cameras from hidden positions.